Margaret Ball's books and art: Finally publishing! I've been advised to wait until I had several books in the Applied Topology series ready to go before putting the first one out. So... A Pocketful of Stars is ready; the second book, An Opening in the Air, needs only formatting; the third, An Annoyance of Grackles, awaits final cover art and formatting; and the fourth, A Tapestry of Fire, still needs blurb, cover art, and formatting. Time to get started! Createspace has my files for Pocketful and with luck, it'll be available in both paperback and kindle format within the week. There's a fifth book in the series buzzing around in the back of my head already, but it might be as well to work on a different project next. I'm getting ahead of myself, chronologically speaking: A Tapestry of Fire is set in May of 2018, which as you may notice, hasn't happened yet. In Untitled Book 5 I'm planning to throw my poor, battered characters into one of the nastier parts of the world... so it would probably be wise to wait and make sure nothing happens that would drastically change that area, like, say, an Iran-Israel war or any number of smaller, but still messy, events. Probably there won't be any dramatic world events this summer, but I hate to think of the amount of rewriting that could be necessary if Something Happens. So... maybe I'll take a month to read Japanese history and folklore and see if some related, but vague, ideas crystallize. Except that I really hate spending so much time not writing. It's not exactly dedication; it's that writing fiction is the best anti-depressant I've encountered. A month of nothing but research... ouch. I need my favorite drug! So, maybe some short stories, long stories, novellas, filling in the gaps between Applied Topology books? While doing research? We'll see. Congrats on this accomplishment Must be hard to wait, holding these stories like this before the big reveal, one by one. I don't know what to tell you about that next book that wants attention, except that the way events are moving these days, you probably ARE prudent to wait. But still, if you're itching to write, it's going to have to be a pretty big diversion to keep you away from it! 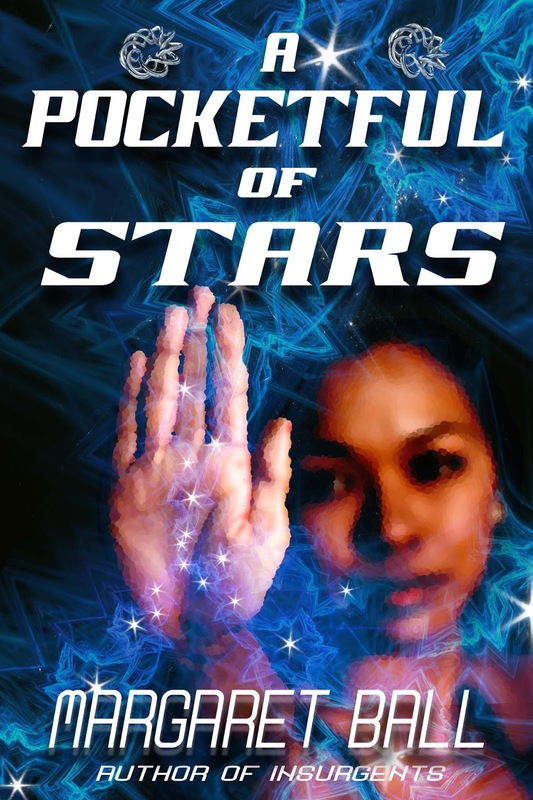 Createspace is doing their bit: I'm STILL trying to get them to accept the print cover file for Pocketful of Stars. A POCKETFUL OF STARS is live on Kindle!